Extensions can be managed within the Max2Play web interface and allow for new functions and applications. Max2Play is a community project and lives from and through the community. The premium license is required for some functions of Max2Play and also finances the development of the project. All Max2Play users can help translating the Max2Play Interface to as many languages as possible. Thanks for your positive feedback, we appreciate you like Max2Play and our support service. We always try our best to help you out. I plugged an USB DAC U-SABRE (from audiophonics) on my raspberry pi2 with max2play. I selected external soundcard in raspberry settings and edited advanced option in squeezelite audio player to select the USB DAC. My problem is the volume from the DAC is very low. I logged on the raspberry in SSH and i went in the alsa mixer. It is set at -20db. If i change it and reboot the raspberry, it don’t save the new setting for the volume. How to save changes and is it possible to set it in the max2play interface? Is it possible with a plugin and how to do it. Thanks for supporting Max2Play! However, this page is intended to serve more as an overview of how the community can help and participate in Max2Play and not for support questions with errors, etc. For those issues, you can visit our forums and we will be able solve the problem faster and with the input and help of the whole Max2Play community. However, regarding your issue; please try to select the HiFiBerry DAC+ option under Raspberry Settings for your sound card since it should use the same drivers. This way, your volume should automatically be adjusted to the perfect setting and you should be able to adjust it yourself with the volume bar. you could try the following solution: After setting the ALSA volume, use the command „sudo alsactl store“ to really save your ALSA configuration instead of only changing it. If you need more detailed help, please visit our forum. I have been using max2play for about a month now with players in the living room, kitchen and bathroom using raspberry pi’s. This is a fantastic piece of software. I have one question that I cannot find an answer to. How can I attach a record player to the system via wifi or hardware. thank you for your comment and your positive feedback about Max2Play. We cannot recommend specific hardware, but you definitely need a soundcard with audio input. If you use LMS/Squeezebox Server to share music in your network, you need to use the plug-in WaveInput for LMS to have a chance to receive the audio signal of your record player. I do some updates in advance setting and the network is gone (no blinking light on device) ! If you do not have any screen to connect to, we would suggest burning a new image. It only takes ca. five minutes and you can start over. Hi…just wanted to say THANK YOU for a great package. I was a few hours into configuring Raspbian when I discovered M2P. There is nothing I’m giving up by using this package and I doubt I’d have had the patience to configure all my wishes before giving up with something more basic. I feel now like a have total solution…with my RPi2 running off a battery pack and with a Wifi access point I now have LMS capabilities everywhere I go. When I get home I simply plug into Ethernet and have a Samba share plus keep the same Wifi connection on my phone…brilliant! Wow, thank you for your enthusiastic feedback! Glad Max2Play fits your needs. but whenever i start up kodi with sound coming out via hdmi the squeezelite stops working over usb sound? Kodi automatically stops Squeezelite as long as it is running and Squeezelite starts up again automatically when Kodi is shut down. This is built into the Max2Play image to prevent any corruption of the system. Something I don’t understand, each time I try to start Kodi, it fails. I started from a fresh brand new installation, perform all update but it fails anyway. Honestly, I don’t understand why. Well, what did I do wrong ? Which image did you use when this error occured and which version of Kodi? We cannot reproduce the bug you mention and have never come across this bug. I recommend to start with a fresh Max2Play image and install Kodi again. Max2play is the best multi room system software on the market. Thank you and job well one. I would just like to know if you will be upgrading Kodi to OSMC soon?? Kodi 15.1 is outdated. At the moment, we have no plans to replace Kodi with OSMC, but we will discuss this option in the future maybe. I´m greatful for some help with my Max2play problems. I have a Raspberry Pi3 and a Hifiberry DAC+ pro. I have downloaded and installed Max2Play HiFiBerry Image on my Micro SD (8GB) several of times and put it in my Pi3, but it refuses to start up. The led on the Ethernet never lights up and the Raspberry aint reachable. I did the same procedure with Max2Play Raspberry Pi Image and it started up, but with that image Hifiberry don´t work and I have problems with activating my newly purchased license. I´m new on Max2play and not a Linux „guru“ but I have done many installation with other Pi images without any problems. Do you have any suggestions how to do it the best way. Please post your technical problems in our forums to let the whole community participate in a solution. Our HiFiBerry image is currently not compatible with the Raspberry Pi 3. Please use the Jessie Image for Raspberry Pi 3. I would like to use max2play with a cirrus logic card. How can I get the last version of the image? Please post your technical problems in our forum. You can download the Max2Play image with version 2.34 and update it after you expand the filesystem. So you get version 2.37. The option to update Max2Play you can find under the „Settings“ menu. I want to build a combination of RasPi 2, HifiBery DAC+ and a 2.8″ LCD with 320×240. I’ve tied it with the element14 4DPi-24-HAT and with either the LCD-board or DAC-board the functions went fine. But when I use both boards together the LCD stays dark. Please, can you tell if there is a possiblity to use HifiBery DAC+ with maybe any other 2.8″ LCD? I didn’t find any satisfying comment for this kind of configuration. Does it work with the 2,8″ LCD you offer in your shop? In Jive the two VU-meters were cutted off. Is there a possibility to fix that? The reason why I want a 2.8″ Display is that I’m building a 19″ case which is very nice flat. So there is no space left for a 7″ display. BTW: Did someone think about Adafruit NeoPixel as VU-meter LED display? the DAC and the LCD both connected to the GPIO Pins won’t work together, as they use the same pins at the same time. If you want to use a DAC and a Display, then you should connect a Display with the Display-Port of the Raspberry or use HDMI and USB for the display. On the other hand you may connect a DAC also via USB. I just fixed the VU-Meter for the 2.8″ Display with 320px width. Just get the latest Max2Play-Beta on the Settings Page (hit Beta Update) and install the 2.8″ Skin again on the Jivelite Page. 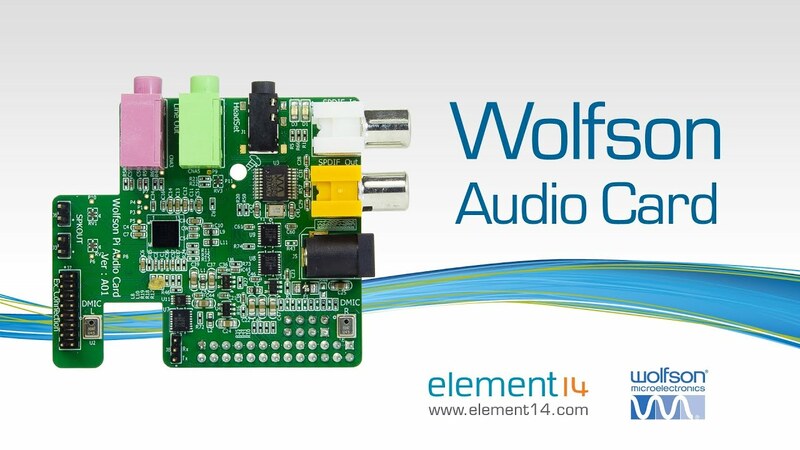 Can I make a Audio Player for my lossless music with Rasp Pi 2 and a wolfson audio card? What must I do to get my purpose? Is the plugin supports Wolfson audio card already included in the Max2play image? Is this a free plugin or premium plugin? After burned Max2play Image, I cannot active the Wolfson Cirrus Logic. Maybe i do something wrong? LMS interface, both with the original hardware form Logitech as as well as software implementations from Fusion Research, S1Digital and Vortexbox. I’ve setup one Raspberry Pi 2 with m2p version 226 and it works not perfect but it is usable on the tests, the main problem is a few missing icons. But when I installed m2p version 234 the options and icons were scrambled to a degree which makes it not useful. Also, I tried a Raspberry Pi 3 but since it doesn’t support version 226, I could only use version 234 with same results. It seems the third party API is screwed up, could you fix it? This API you are referring to is just up to date and not screwed up. We currently support the LMS 7.9 nightly which might have issues with your ELAN system and its integration. However, there are many great alternatives to control your Squeezebox Server including the default web interface, several great apps for all platforms and the Jivelite GUI. If you are still interested in an updated compatibility of the ELAN support, please contact them asking for this with version 7.9 nightly. My whole point of using the Max2Play is I want to input audio into the Raspberry pi 3 from a USB sound card with audio input jack and then stream this audio over my Wifi Network so I can access the same from my Laptops/Smartphones. I did install the Squeezebox Server plugin and also installed the Logitec Media Server but nothing seems to happening. No audio is being captured from the USB sound card. Can you please let me know what I am missing or what are the steps I need to follow? I have 2 RPI3 with HIFIBerry amp+ connected with passive speakers, and connected to TV via HDMI. Is it possible to have KODI and squeezelite running at the same time? I have a LMS on a Synology NAS . I would like to use this functionallity and watch TV. It is possible to have both running, but you can only have one of them using the Amp-Output at a time. Where find the MAX2PLAY version for the ALLO system with the sparkly card boot on EMMC. On your site the versions for odroid C1 or XU3/4 do not boot on the sparkly. Sorry but, unfortunately, we cannot offer support for the Sparky Board by Allo. We helped them set up the system, but they handle the maintenance and technical support for these boards. As a bit of an expert, I still have to admit that enjoying bumping into something that just works easily. Couldn’t think of a better way to set up an audioserver, in my case a Squeezerver on PI 3B. For some reason my max2play server is no longer appearing on my network. It is plugged into a powerline adapter by cable . The lights on the network adapter are flashing and look like there is an ethernet connection. The wifi SID has changed in my network due to a hardware failure. How can I connect directly with another computer to configure the networking via the web interface? Its difficult to move the box as cables are running behind a large unit filled with many things so I would prefer a headless mechanism if I can. You could also try directly connecting via LAN from your router instead of using the powerline adapter to rule it out as a source of error. If you have any more issues, please post in the forums so the whole community can participate and benefit from your solution. I have been messing around with server/client based music systems for several years now both home brewed and bought in, some at great expense! I have always foud LMS media server to be the best product for storing and distributing music media files and since going „open scource“ it just gets better! has brought the potental to make a high quality Client/player within reach. But the glue that holds it all together is the Max2Play distro…..a superbly crated piece of software well done guys! in separate enclosures control is from 2 logitech squeezebox controllers or iphone running the ipeng app. Both players feature Spotify connect. I have had this running now for two months without a glitch! Audio quality is superb one player feeds a high end meridian system. Thanks again guys for a great well thought out and exicuted product! I have HiFIBerry DAC+ Zero. This board is not on the list of options for HiFiBerry. j’ai fais l’acquisition d’un ampli justboom avec activation max2play. impossible d’activer la licence . If you recevied a voucher code with a JustBoom sound card, please check whether it is a code to get a free license in our shop. To do this, head to our shop, put the test license in your shopping cart, head to the cart and enter the code. You should get a total of zero € and be able to get the license for free. I have an OSOYOO 3,5″ touchscreen (RPi3), how can I setting this module. Unfortunately, we do not have a direct implementation of this screen and are not familiar with it. Please contact the manufacturer to find out how you can use it. I got the bundle Rpi 3 + Allo Digione with the 1 Year license for Max2play. I have another Rpi 3 with Allo Kali and Audiophonics I-Sabre 9018km2 which works great together with OSMC. I am a bit used to that configuration and the control via Yatse or other Kodi remotes from my smartphone or tablet is easy and powerful. So, the first impression of the pre-installation of Max2play was a bit confusing for me until I understood the philosophy of setting/controlling everything through the web server. I was able to set up everything as the instructions say but I have several problems. One of them is that Kodi does not bring sound through the Digione. There is no Allo digione overlay, only HDMI, Analog, and two ALSA that also bring sound to the TV via HDMI. So, there is sound on the TV but not on my stereo system (COAX input to the DAC). The second problem is that when I select to leave Kodi, it does not go back to Raspbian/Max2play but, instead, the screen gets dark permanently. Then only switch-off/switch-on solves the situation. At the present I am not really interested in multi-room music reproduction because I am living in a one-room apartment 😛 But I understand that in the future can be really interesting. So for now I would be happy having a working Kodi system with the Digione, with no issues switching off and with the option to start in „Kodi mode“ without starting Raspbian. Thanks for getting our bundle. We hope you enjoy it. – Deactivate build-in audio in the menu Raspberry Settings to get the DigiOne as an output device in Kodi. – You can use HTTP commands to shut down Max2Play properly or just use the web interface. – You can also obviously rewrite your SD card with another operating system. This is a page where you can find ways to support Max2Play. For help with your setup, please check our help section. I keep having trouble with my max2play set up. The unit works fine for days and then it suddenly the server cannot be found. I can get into the ip address for the max2play software and everything appears to be running but when I try to access the Squeezebox Server it cannot connect. It has happened a few times and each time I have had to start again with a fresh image and reload everything starting from scratch. I control the unit with orange squeeze. You can try reinstalling the LMS directly instead of burning a fresh image. You can also check some specific settings that might be the cause (e.g. Library Rescan). If problem persist, please open a topic in our forums and tell me your steps as well as your setup. Hello! First of all congratulations for your great repo! I am using a raspberry pi model 2b alongside with hifiberry digi + pro. I would like to know if there is any tutorial on how to setup a small lcd screen (20×4) and an IR remote control to steer squeezelight. I managed to make lcd work by using this library https://github.com/elParaguayo/LMSTools but I don’t think that is the best way to do that, Is there any other way that you will suggest? No matter how hard I’ve tried I couldn’t get my remote control to worc. I did the LIRC set up correctly, I am getting results from the irw command but I cannot control squeezelite. Can you please provide me a comprehensive guide on how to do that? For control of Squeezelite we offer the premium plugin Jivelite which is a graphic user interface. It is also compatible with most IR solutions. For LIRC, there are a few discussion threads you can find in our forums and for out-of-the-box IR, there is our JustBoom plugin with JustBoom sound cards. When i want to login to my squeezebox server it asks for a login. I trede everything but i still can’t login ,it never asked for a login before. Could someone please help me , now i can’t play any music. I also use the android app Squeeze ctrl and this one also asks for username and pasword. This the page for supporting Max2Play. For technical support, check out our forums in the help section of our website. You should not need to log in to mysqueezebox.com for the Squeezebox system to work. But you can make an account there to use their plugins. Your Squeezebox Server web interface is accessible without login after installing it under „http://max2play:9000“ or by heading to the max2play web interface menu of the Squeezebox Server and clicking the big blue button there. Just a thank you comment from me. I LOVE the Max2play squeezebox system. Everytime I use my old Logitech units alongside your pi units with Spotify streaming, with multiroom or just using connect I genuinely think there isn’t any other system that can compare. What is even more important for me is the fact that by using max2play I have been able to continue using my old hardware alongside your pi units. Not only have my old units still been able to be used they have constantly got better to use and that’s thanks to you. My wife uses her iPhone to airplay podcasts in the morning and I simply go back to the radio/spotify on squeezebox. I have recommended max2play to anyone that will listen. I can’t thank you enough I just hope you never pull the plug as its the best music system anyone could ever need or want. Nothing comes close. My name is Guido, I have used in the last 3 months your softwtwre with a lot of satisfaction on a system based on SBC Sparky + At the cheapo output Optical to enter the DAC Gustard x 20, this very simple solution gave me excellent quality results to a Yamaha streamer that I was now using as a network player. Now I want to try the HDMI port (of the DAC Gustard) I replaced the Cheapo with an Audio Interface GD I2s with HDMI output purchased from your French dealer as all the material Allo. For issues with the SBC Sparky, please contact allo. The SBC Sparky is not officially supported by Max2Play. There is a special distribution created and maintained by allo that we do not offer support for. Was ist die Ursache des Fehlers und was kann ich tun? Bei dieser Seite handelt es sich um Wege zur Unterstützung von Max2Play. Für technische Hilfe schreibe bitte in unser Forum und erwähne dein Setup und deine bisherigen Schritte. For technical questions and support, please refer to our forums. According to this sound card’s documentation, the selection „IQaudIO Pi-DAC+“ should work. auszuwählen, wie komme ich da nochmal hin? Für technischen Support, wende dich am besten an unser Forum. Da kann ich dir am gezieltesten weiterhelfen. In deinem Fall wäre sicherlich ein neues Image der beste Weg um alles beim anderen Display zum Laufen zu bekommen. I was able to get YMPD working, but this interface is too simple. I could play music tracks is I know their name, but can not browse the collection. YMPD is not practical at all. As the name suggests in the HiFiBerry Plugin, MPD is just the simplest solution we offer. I recommend you switch to the „advanced“ selection using Squeezelite and the Squeezebox Server for ultimate compatibility with most protocols, files and an easy management of your music library. Hi I have just put a large copy Library on to a USB HD unit with all music files in FLAC . However while the USB drive shows as being connected it states it is unmounted and nothing I do will monut the Drive . If I save the drive under the save drive then it appears as an ext drive but when I try to access the music through LMS ti says no music is there . I can put the drive on my PC and sees and plays the music but Raspberry Pi does not seem to be able to mount the drive as normal . This is our webpage for ways in which you can support Max2Play. For technichal support, please post a topic in our forums so that the whole community can benefit from the solution process. Please include as much details about your drive (format, files, partition, security) as possible so I can narrow down the source of error.